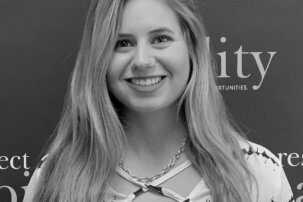 Emily Kranking is a Communications (Hollywood) Fellow in RespectAbility’s National Leadership Program for Spring 2019. She is pleased to extend her Fellowship after having a productive experience as a Public Policy/Employment Fellow in Fall 2018. Kranking has hemiplegia cerebral palsy, affecting her right side of her body and her speech. She has gone through leg surgeries and a spinal fusion. Over the years, she has educated herself how people with disabilities are treated in entertainment and society. 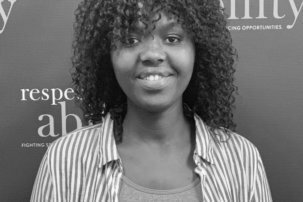 Working as a Communications Fellow at RespectAbility mixes her passion for entertainment and her love of service with strategic communications to help people with disabilities. Kranking has an associate degree in Graphic Design from Howard Community College and a bachelor’s degree in Media and Communications Studies from University of Maryland, Baltimore County (UMBC). 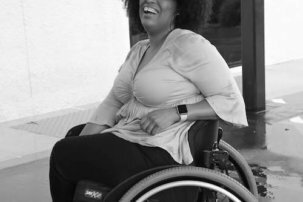 During her time at UMBC, she received an A on her capstone project about “Disability and the Media.” She also was honored in UMBC’s Delta Alphi Phi chapter. Her leadership positions included the leading web developer in the Student Government Association, a copy editor for the literary magazine Bartleby and a photographer for The Retriever Weekly. She was also an active member of UMBC’s New Media Studios and the Musical Theater Club. She is currently an editor for Our Parish Times and a freelance writer for clients, including the interactive story app Episode. As an actress, Kranking’s first feature film, The Homecoming, is scheduled to be released this fall. Zeno Mountain Farm’s The Homecoming is the first movie musical that mainly stars actors and dancers with disabilities. Emily will star as Nancy, the bubbly best friend of the main character Sage. Locally, she is active in the inclusive theater company Open Circle Theater in Silver Spring, Maryland as the Director’s Assistant and Projection Operator. She plans on getting a master’s degree in screenwriting, theater, communications, disability studies or children’s media. Emily Kranking has learned firsthand how people with disabilities are treated in entertainment and society. Working at RespectAbility mixes her love of service with strategic communications to help people with disabilities.